Ditmas Park is a neighborhood in western Flatbush in the New York City borough of Brooklyn, east of Kensington, and is one of three Flatbush neighborhoods which have been officially designated Historic Districts. 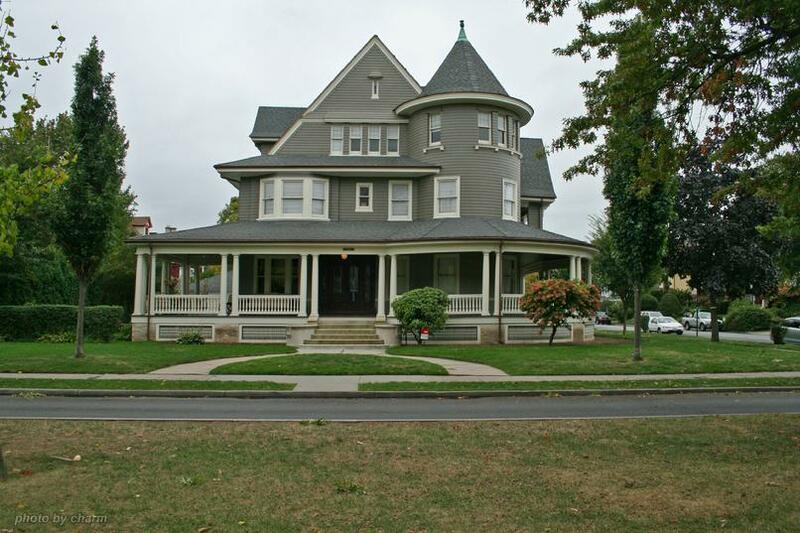 Located on land formerly owned by the Ditmas family that remained rural until the early 20th century, the neighborhood consists of many large, free-standing Victorian homes built in the 1900s. Ditmas Park is roughly bounded by Coney Island Avenue to the west, Beverley Road to the north, Ocean Avenue to the east and Foster Avenue to the south. Ditmas Park is patrolled by the NYPD's 70th Precinct. Newkirk Avenue, Coney Island Avenue, and Cortelyou Road are the neighborhood's commercial strips while many of their east-west streets are lined with historic Victorian style homes. Since much of Ditmas Park is residential, many locals go to nearby Park Slope to run errands and shop, although the neighborhood has seen increased commercialization due to its recent gentrification. 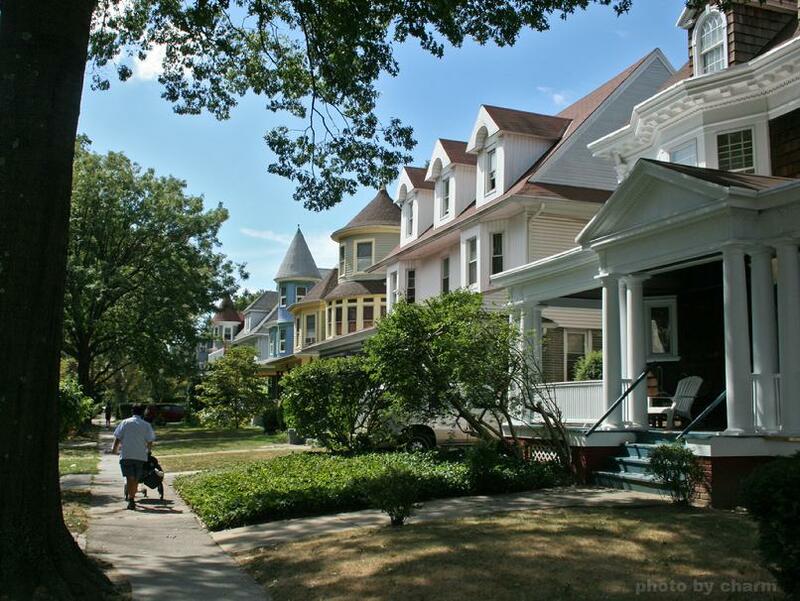 The Ditmas Park Association, founded in 1908, hosts social events, publishes a newsletter and a home improvement directory, and works on numerous civic issues, often jointly with its sister neighborhoods and the Flatbush Development Corporation. 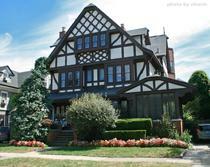 The Flatbush Development Corporation hosts an annual Victorian Flatbush House Tour. 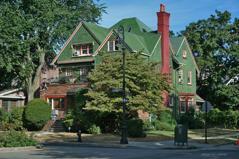 The Ditmas Park Historic District was listed on the National Register of Historic Places in 1983. Throughout the eighties and early nineties, wealthy families purchased the large Victorian homes, but in the past few years, the neighborhood has experienced rapid gentrification with an influx of young people and artists attracted to the large spaces for relatively cheap rents. An example of this is Cortelyou Road, a commercial street in the neighborhood. Cortelyou enjoys a number of delis, bars, coffee shops, restaurants, the Flatbush Food Coop, and more upscale restaurants, notably The Farm on Adderley (which also boasts a bar, patio seating, and a weekly movie night during summer months). Cortelyou is also home to many venues, which attracts many local musicians, as well as more well-known artists. DitmasParkBlog documents important events and openings in the area, as well as a host for discussions and inquiries about the neighborhood. However, the gentrification of Ditmas Park has some opponents, mainly because residential and commercial rent has gone up, driving long-time residents and businesses out of the neighborhood. 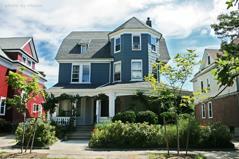 In October 2009, Time Out New York named Ditmas Park one of the best neighborhoods in New York City for food. Similar articles praising Ditmas Park for its food have appeared in the New York Times and AM New York.